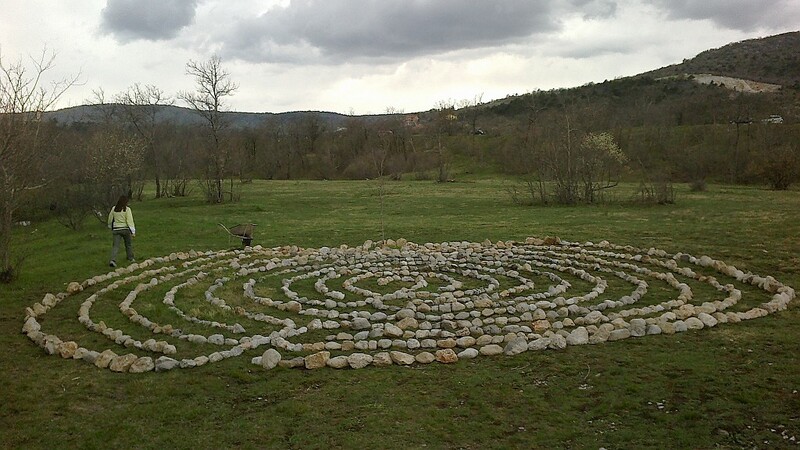 Labyrinth of life and death (or Saturn labyrinth) is the seventh labyrinth that I built on a nearby meadow. Here are some of my notes and experience. I wasn’t alone. 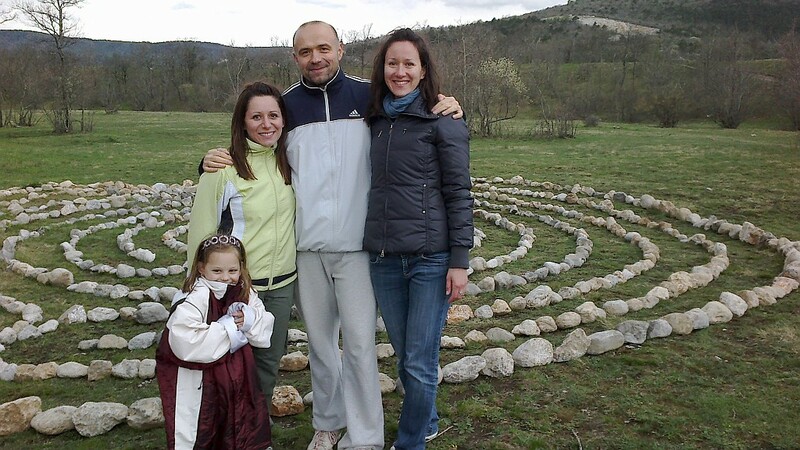 I had help of my friends Danica, Biserka, Tina, Tena and Denis. 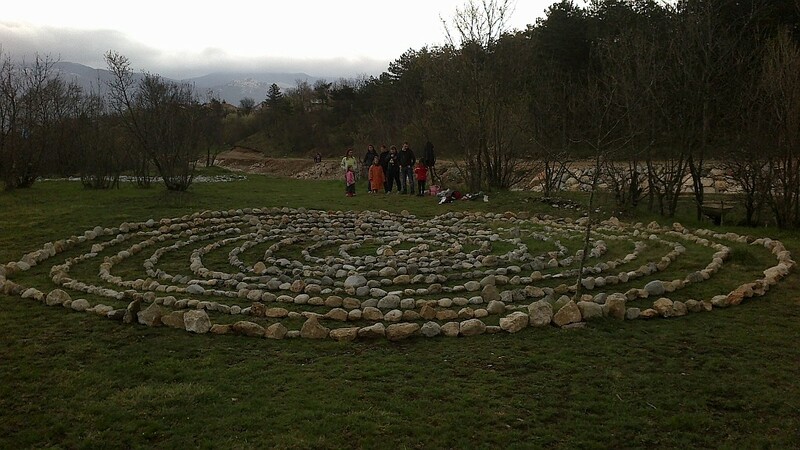 Labyrinth of life and death is the biggest labyrinth of all celestial labyrinths so it took us two days to build it. To be more precise, it took us two Saturdays. We used rocks from the creek for building and we tried rocks to be as bigger as possible. As much as we can carry. 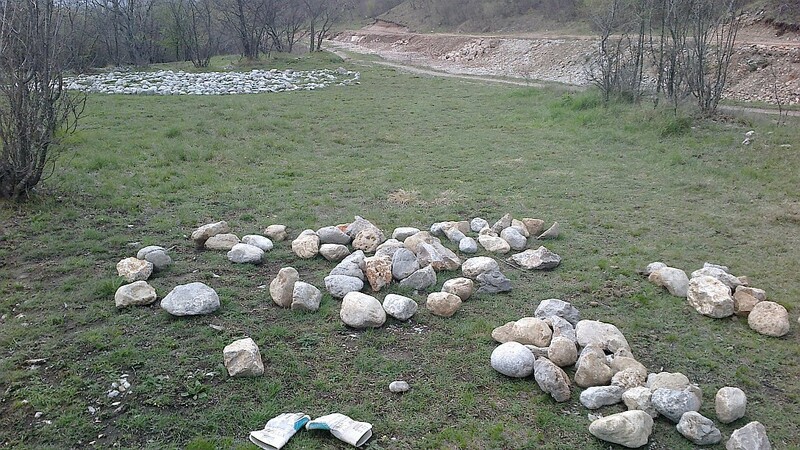 We first made the seed form, positioned it according to compass and the rest was just routine. 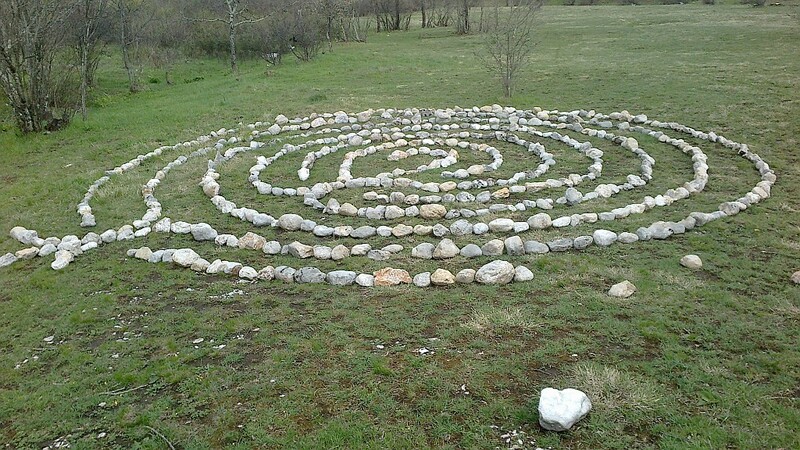 Labyrinth of life and death is west oriented. 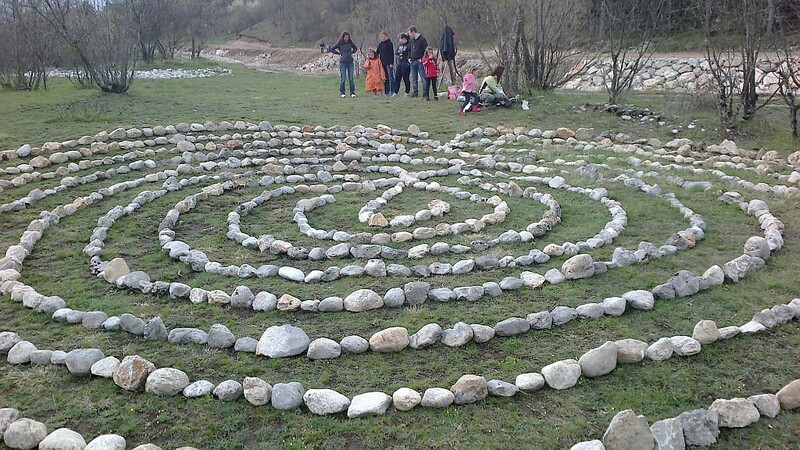 When the building was done we prepared for ritual opening of the labyrinth. 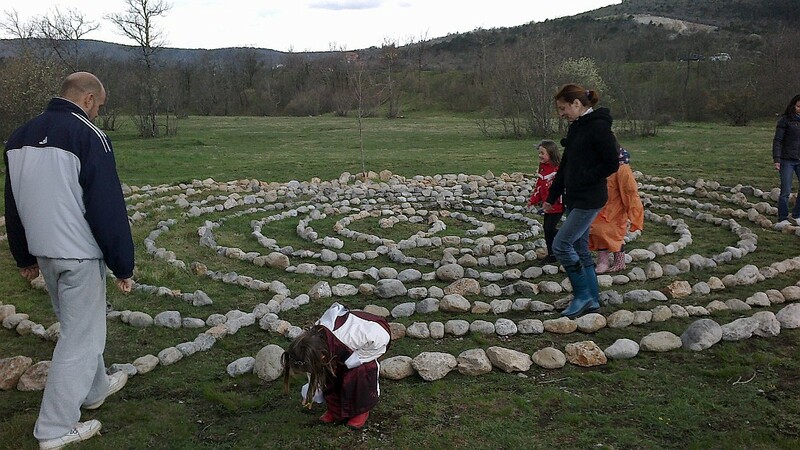 It is best that opening be done by someone who already has experience with labyrinths so I took the role. 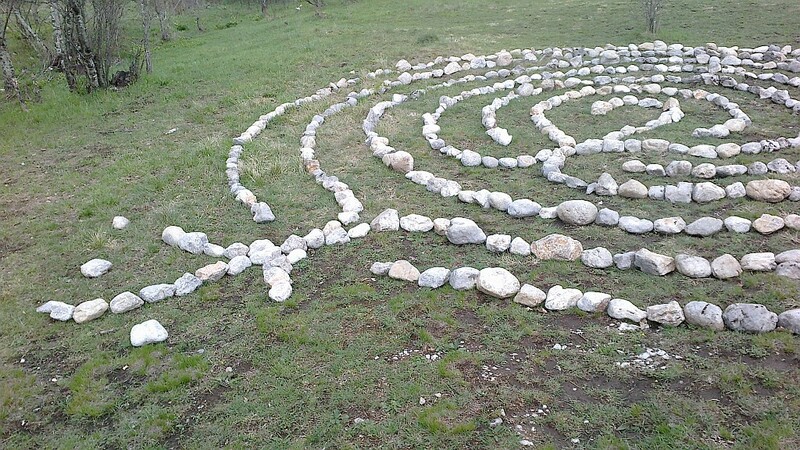 My friend Biserka was reading the ritual text from the book “Labyrinths and their secrets” and I was walking through the labyrinth. The rest of my friends were standing aside in silence, giving me mental support. I must admit that this was my most powerful opening of labyrinth so far. As Biserka read the text and I walked the path, I experienced so many different feelings and physical sensations in my body. Tears came to my eyes. I felt my muscles contract and almost painful feeling in my back. 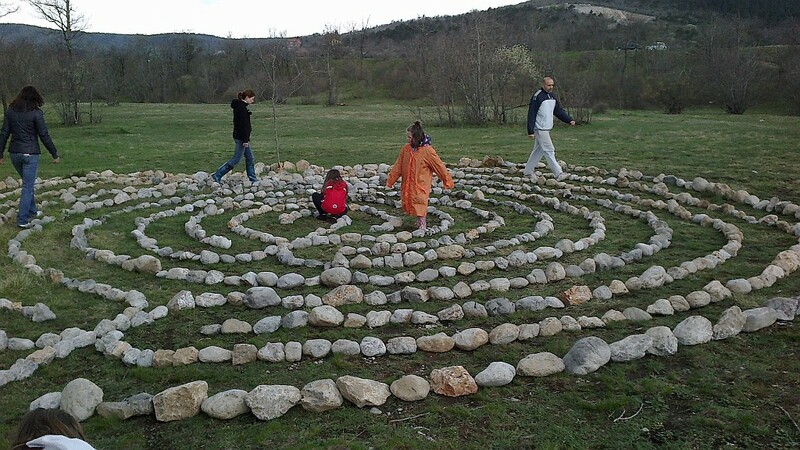 When I reached the center I felt like my whole body was distorting and then the feeling of peace came. I noticed black raven circling above us and giving us some strange signals we did not understand. 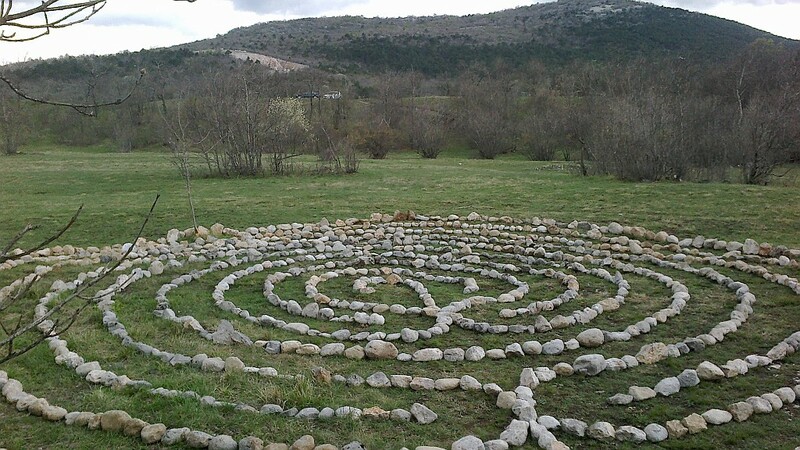 It overwhelmed me and I exited the labyrinth with feeling of happines. 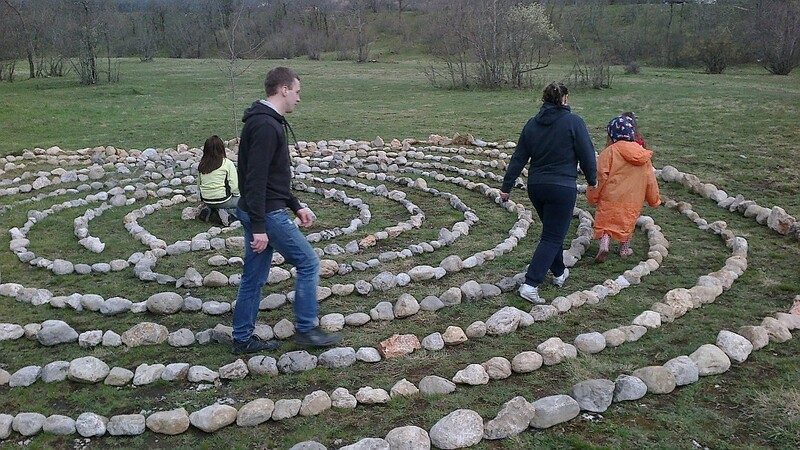 After that we all entered the labyrinth and walked it together. 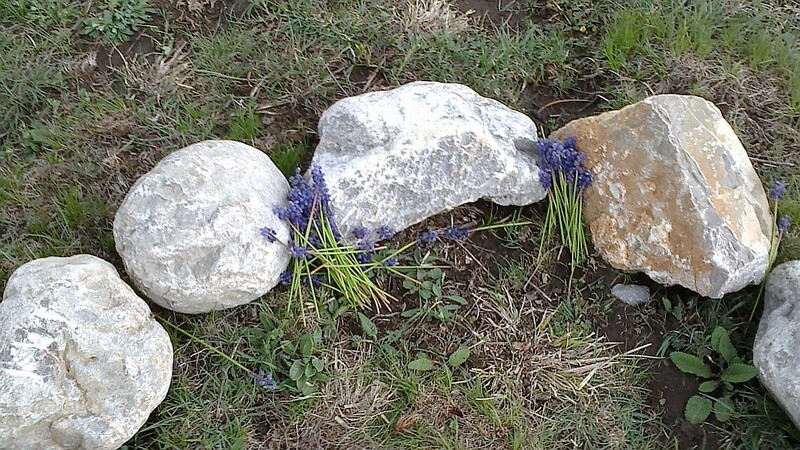 It was strong and powerful experience too. Some of my friends cried, some were happy and some felt strange warmth in differnet parts of body. It was really nice experience and we were all happy to be part of such an amazing event. 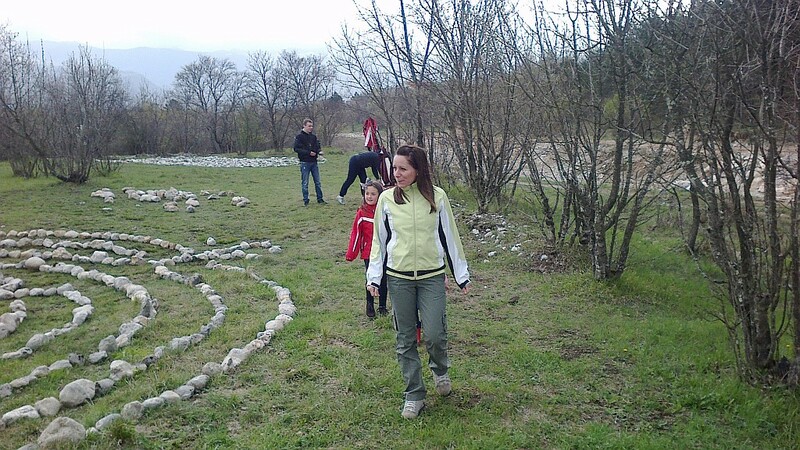 And here you can see a short video of us walking the labyrinth together.